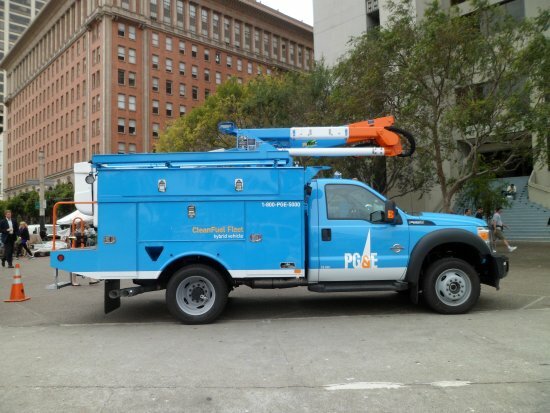 PG&E has been beta-testing the VIA plug-in hybrid truck for two years, and PG&E will be purchasing more of these when they go to production later in the year. There are approximately 55 Chevrolet Volts and 25 C-Max Energis in the fleet, which are used as employee pool car vehicles. Approximately 55 plug-in hybrid Altec Material Handler Trucks, and 350 plug-in hybrid Altec Bucket Trucks. 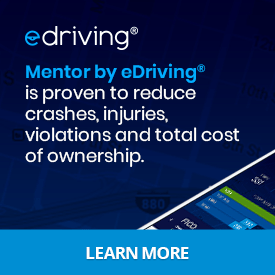 The fleet has a few electric trucks made by Smith Electric Vehicles in three models: service body, flatbed, and bucket. The Alltec Bucket Trucks (featured above in photo) saved the fleet more than $700,000 in fuel costs in 2012 compared to the conventional diesel trucks that they replaced.